Last week I discussed the Aware of Surroundings factor of the S.A.F.E. Model, specifically concerning the importance of employees’ overall awareness of their work environment and the things happening around them while on the job. Another component of this factor is an individual’s ability to accurately recall information about his or her surroundings at work, even when distracted. Employees who are easily distracted while performing a task tend to make more frequent mistakes and lose track of what they are doing than their more focused counterparts, which can lead to safety incidents. You may be thinking “of course a worker is more likely to have an incident when they are distracted.” However, the question is not whether incident rates are higher for distracted workers - this we know to be true - but rather why employees allow themselves to be distracted and what can be done about it. 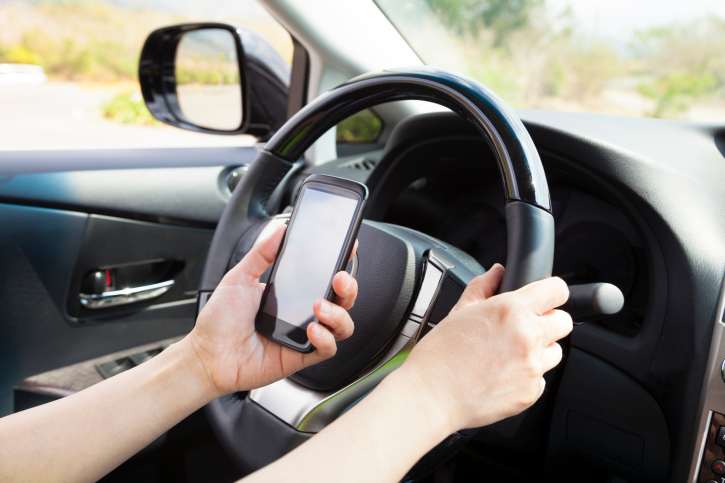 The perils of distracted driving have received a great deal of attention in recent years. We regularly hear about crashes that occurred because a driver was texting and not paying attention to the road. Sad as these stories are, the distraction is typically self-imposed, and although this is certainly characteristic of low SafetyDNA, people can be trained to change this behavior. On the other hand, some potential workplace distractors, such as loud noises and coworker interruptions, are often unavoidable, and employees must somehow prevent these things from distracting them. Otherwise, the outcome can be tragic. Norman is a 55 year old machinist working for a metal processing plant in Louisville, Kentucky. With over 30 years of metal work experience and an outstanding safety record, he was the obvious choice to operate a brand new belt grinder purchased by his company to shape many of the plant’s products. Working the new grinder involves the critical step of accurately moving the metal across the grinding wheel to achieve a specific shape, which requires the full focus of the user. This part was no problem for Norman, who was well qualified to accomplish this task. However, one day while operating the grinder, one of Norman’s coworkers approached him to start a conversation. Although Norman was performing the shaping task at the time, he responded to the coworker, taking his eyes off of his work for only a moment. That moment was just long enough for him to unsteady his hands, and the grinding wheel caught the 2-lb piece of metal he was working with, sending it flying across the production floor. The metal piece lodged into the leg of another worker, tearing her calf muscle and breaking her fibula. Referring back to my statement above, when an individual’s brain is overloaded with multiple sensory inputs, its ability to perceive and process information is reduced significantly, which can increase the risk for a safety incident to occur. To counteract this risk, employees must train themselves to keep their minds on the task at hand and engage in safety behaviors such as turning off machines before interacting with others, wearing hearing protection to decrease noise distractions, and taking breaks to clear distracting thoughts. Doing so will help them reduce the risks associated with their personal SafetyDNA and minimize the potential for an injury to occur.